Move your website to HostAsean and you and your customers will enjoy faster speeds in Cambodia. 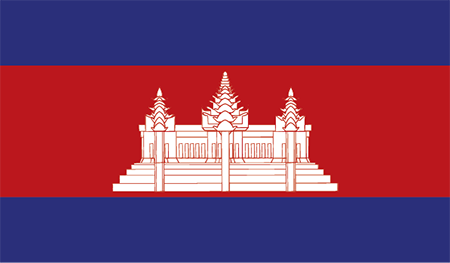 Our servers are based in data centres in Phnom Penh, Cambodia with fast local connections and international links. Not just web hosting geeks - we are also familiar with the challenges business face in Cambodia, especially online. We become your partner to provide you with an improved online presence for your company or organisation. We are the first dedicated website hosting company in Cambodia. What do you get with our Cambodia website hosting? Our team and consultants have built, hosted and worked on thousands of websites in Cambodia and Asia over the last 10+ years. This gives us local experience and expertise that is difficult to find. We offer customer service and support based in Phnom Penh, Cambodia. You’ll rest easier knowing that the hosting company you are dealing with is in the same timezone as you. We can also arrange on-site support for special cases. Our servers are housed in a leading tier 3 data centre in central Phnom Penh. Connected to 100mbit international and up to 1gbit super fast domestic connections within Cambodia. Our servers run the latest stable builds of CloudLinux OS, cPanel/WHM, with Apache 2.4, selectable PHP 5.6 to 7.2, and MariaDB. We run PHP with either PHP-FPM or LightSpeed API to ensure the fastest experience for your visitors. We take security seriously. In the background we run hardened servers with 8GB DDoS protection, hardware & software firewalls, real time scanning for viruses, malware and rootkits. Every hosting account also comes with a free SSL certificate as standard. You can rely on us to keep your data backed up. All of our hosting plans come with automatic nightly backups as part of our standard service. Unlike budget hosting companies we don't charge extra to back up and restore your data. We'll help you move your existing website to us with minimal or zero downtime. From help configuring your domain name DNS settings, moving the files and databases to the moment we switch-over. As part of this service we'll also scan your website for any malware and help you fix any issues for the benefit of everyone. Many of our customers rely on us for their day to day business email service. All our web hosting accounts come with full email functionality so you can set up addresses for you and your employees. We monitor our mail servers for blacklisting and use SpamAssassin for inbound and outbound spam filtering. With your cPanel control panel you have full control over your website files, databases, email accounts, spam filtering, DNS, and more. You can access cPanel directly or conveniently access common control panel functions via our client area. Our resellers and multi-domain packages also get WHM for managing multiple accounts. Get started with e-commerce in Cambodia, or start building your business presence online. Speed up your website by hosting in Cambodia. ..and we’ll get your account set up fast too. Our servers are connected to the fastest web hosting network available in Cambodia, and we can offer you unparalleled speeds when hosting your website in Cambodia. Whether a mission-critical business website, or a hobby, community or personal blog, you will be able to rely on your website’s speed, availability and uptime in a country where the internet is often limited. Give yourself an advantage over your competition. Since your website will load faster than any of your competitor’s websites hosted outside the country, you will give yourself an advantage. With your website hosting in Cambodia you can increase sales and reduce bounce rate for your Cambodia based visitors. That means happier customers and more revenue for you and your business. For our full list of available domain name extensions and pricing please visit our Domain Checker. We’d be happy to help answer any website hosting questions you may have. Our team are experienced experts in a wide range of website design, development and web hosting services. We are based in Phnom Penh so we’re also happy to chat over a coffee if your website has specific needs. Our clients are based all over Cambodia, from Phnom Penh, to Siem Reap, Sihanoukville and Kampot. You can enjoy our fast domestic network speeds wherever in Cambodia your business is based. In addition to our Cambodia focus, we also host clients from all over the region so you can be assured that international visitors will also get reliable and fast access to your website when you are hosted on our servers in Cambodia.